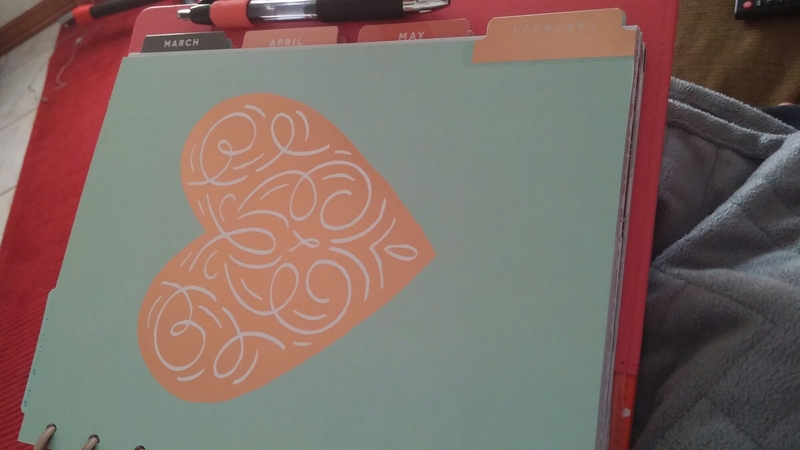 This year I am using the Me And My Big Ideas “Happy Planner” disc system for all my planner needs. I have, in fact, embraced the discs! I am using two Two TWO planners this year: the one on the left is my “mom life planner” and the one on the right is my daily planner. 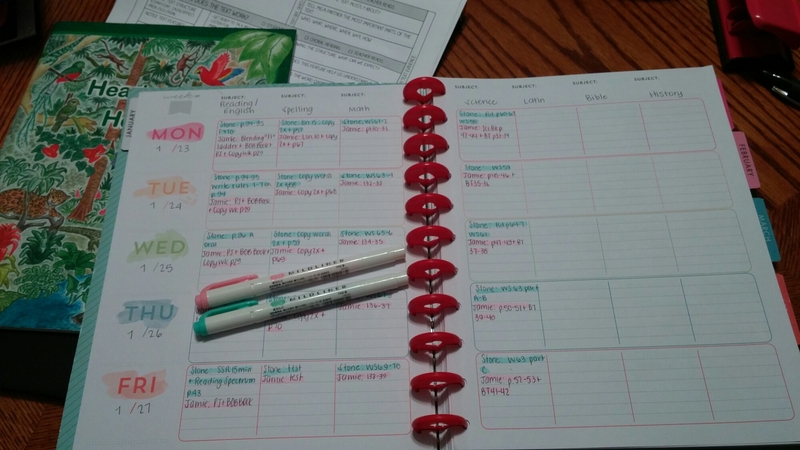 I homeschool, so the mom life planner is going to be the home of homeschool plans, daily tasks that involve household management, and tracking my kids’ comings and goings. 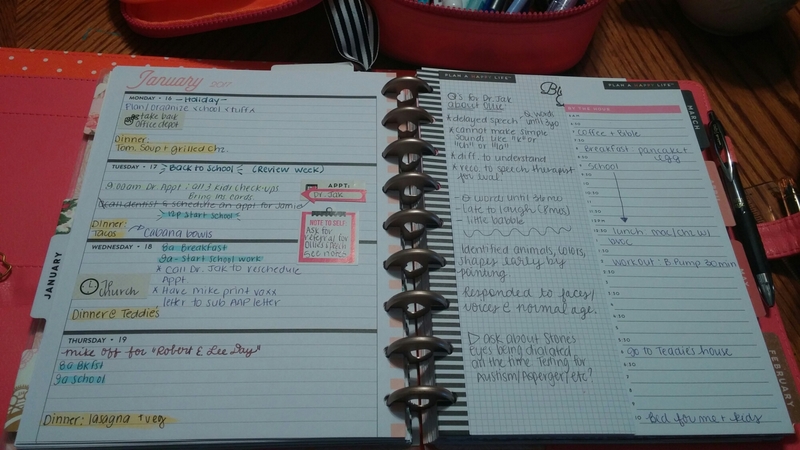 The daily planner is a place for my brain dumps, appointments, commitments, and the one I take with me when I leave the house. 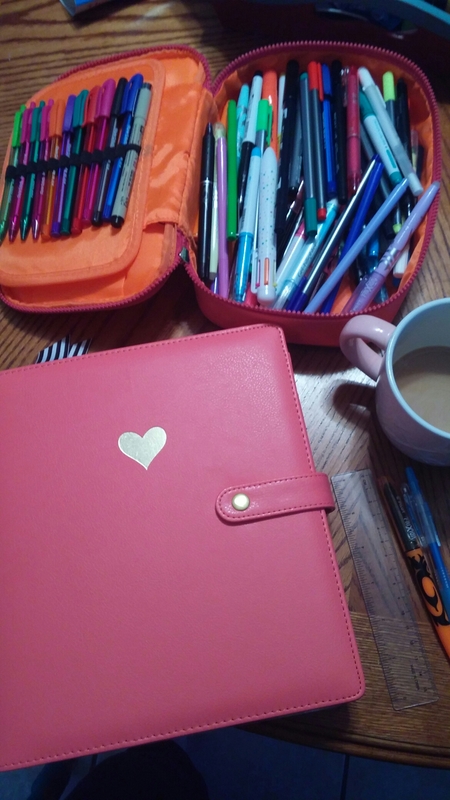 Both are disc bound planners, but my mom life planner has the standard discs and my daily planner has been upgraded to bigger discs since I am going to be using this one the most- especially for note taking during our ministry work, church meetings, and services. 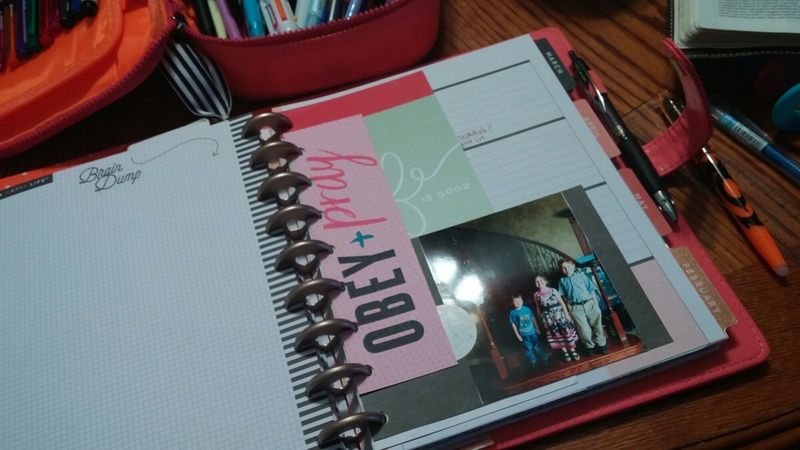 I made my own dividers for bible study using the Happy Planner paper punch and some bright, fun card stock and a tab punch and letter stickers. 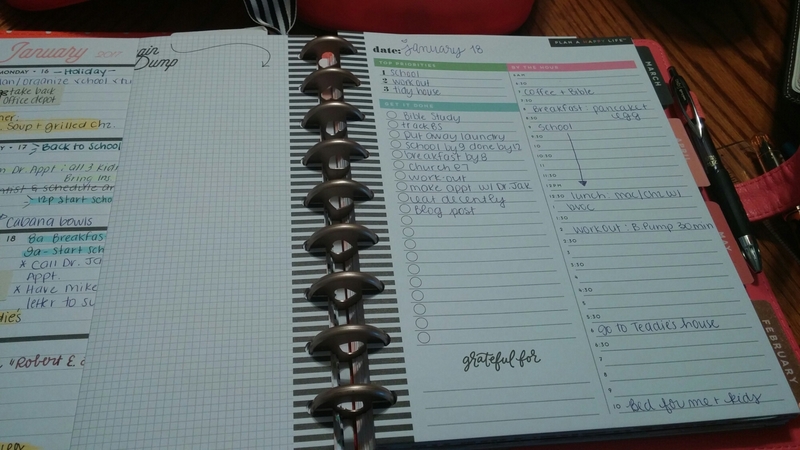 This one has standard size rings and is a horizontal planner… not my preference, but it works well with what I’m using it for. There’s plenty of room for brain dumping— a much needed feature for my mom life! This one I added larger rings and it’s more colorful since I spend more time in it. I have more accessories and add-ins as well. 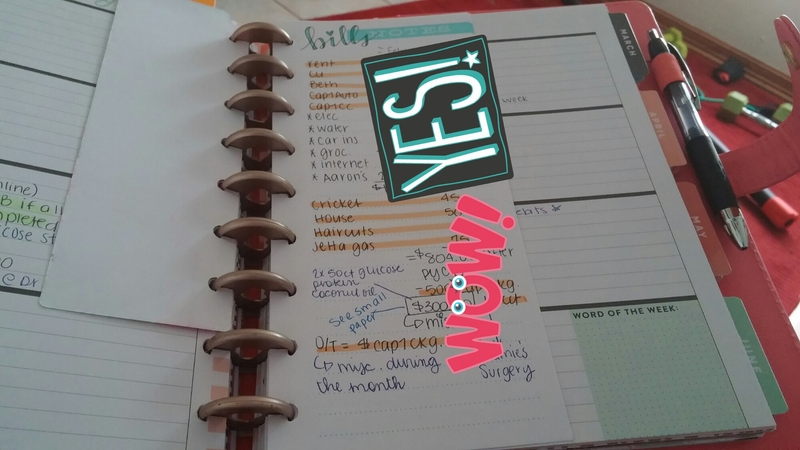 My daily planner also features a daily checklist paper that allows me to keep a healthy flow of my day and keep track of tasks. I absolutely LOVE these add-ins! They have proved to be the most functional! Here is the other side of my weekly spread. Again, it’s over the top decorated with stickers and washi tape. It makes having a busy week a lot more fun when my business looks pretty! 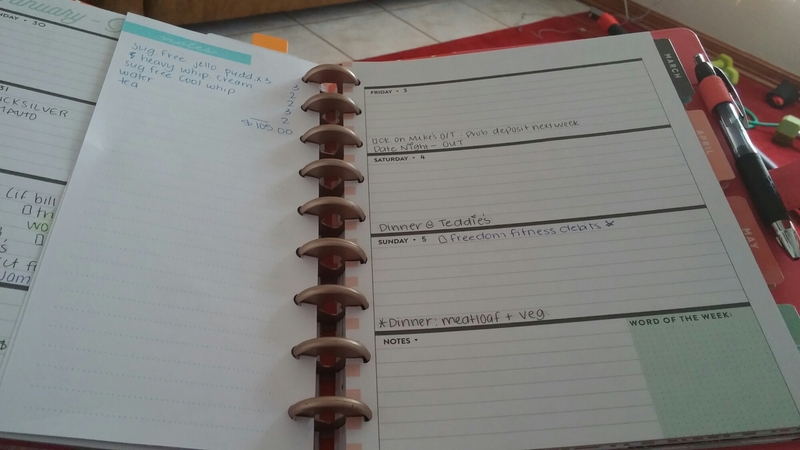 My daily planner contains the same bible study tabs as my mom life planner just because I take this planner everywhere and since the paper is easily transferable to either planner, I can move it from one to the other. The removable paper is what sealed the deal with the Happy Planner!!! 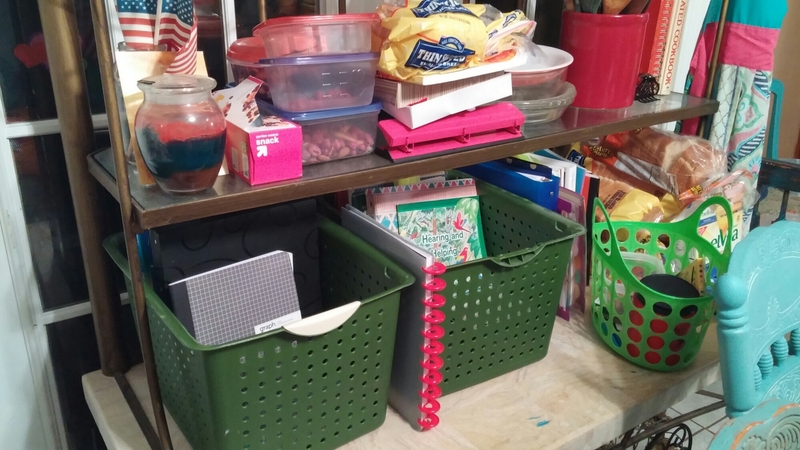 Plus I don’t have to constantly open and close metal binder rings! And finally, my dashboard for my daily planner. It’s inspiring and accessible. Filled with sticky notes, tabbed list inserts, and a folder full of fun colorful stickers, this planner is ready for whatever 2017 throws at it! 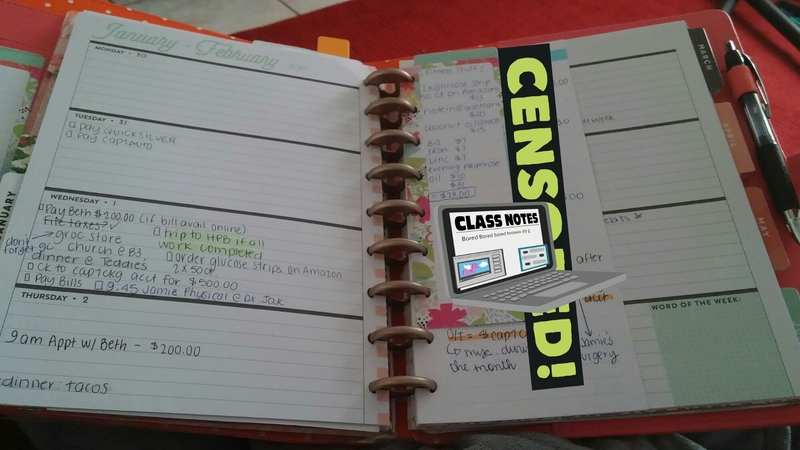 I will try to post consistently my experience with the Happy Planner. This is going to be the first year I am exclusively using the HP. Happy New Year and Happy Scribbing!